In a laughable move, the United States Treasury Department Office of Foreign Assets Control has issued “sanctions” against two Bitcoin addresses–149w62rY42aZBox8fGcmqNsXUzSStKeq8C and 1AjZPMsnmpdK2Rv9KQNfMurTXinscVro9V—belong to two Iranians–Ali Khorashadizadeh and Mohammad Ghorbaniyan, accused on assisting hackers launder their Bitcoin proceeds. The Bitcoins obtained from victims of a SamSam ransomware scheme were converted to Iranian Rial. With the ban, the OFAC said that users from the US who send any amount of BTCs to the said address will be liable to secondary sanctions. Furthermore, they are calling for individuals within compliance and in the crypto community to investigate and ban the said addresses. On top of this, since Bitcoin is a push system, there is really no way to stop people from sending BTC to these blacklisted addresses. However, while the US has been successful in setting embargoes against several economies—to their detriment, the move by the FAC to “ban” Bitcoin address is near impossible and even laughable. No government can censor a decentralized network because addresses are cryptic. Besides, one is actually his or her bank as long as they have control of their wallet’s private keys. So, as it is, Ali and Mohammad can actually continue receiving any amount of BTC they wish and even the Iranian government cannot “sanction” the address unless they arrest them and use other means to extract associated private keys. They two can generate unlimited amount of BTC addresses. That is the reason why despite the so called FAC sanction, people are having a field day sending cash to those addressing and taking advantage of Bitcoin’s inherent strength—censorship resistance and communal control. 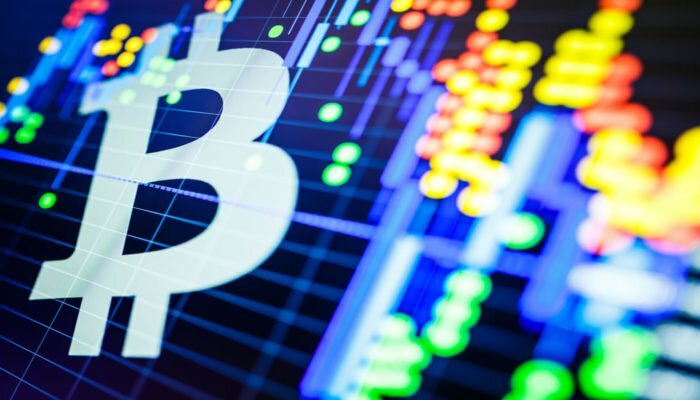 At spot prices, BTC is down 0.12 percent on the weekly time frame—which is technically bullish following days of double-digit losses—but encouragingly up three percent in the last day at around $2,300. 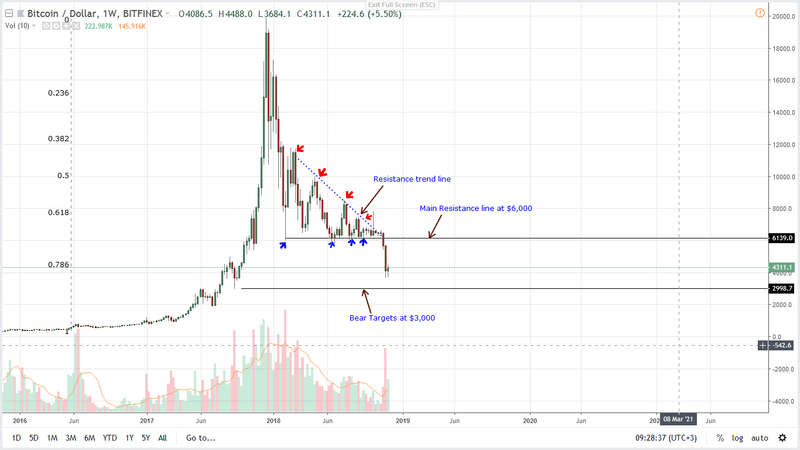 Regardless, bears are technically in charge and with prices $400 away from breaching and closing above the $4,700 minor resistance and buy trigger line, conservative traders should hold off trading until after our trading conditions are met. Ideally that’s when we have a total recovery with BTC/USD printing above last week’s highs of $5,700 preferably at the back of strong volumes. Back to the daily chart and BTC/USD is edging higher to the excitement of traders. Though we have a clear three bar reversal pattern—the Morning Star pattern, the past two pin bars—or dojis are still trending inside Nov 28 high volume bull bar. 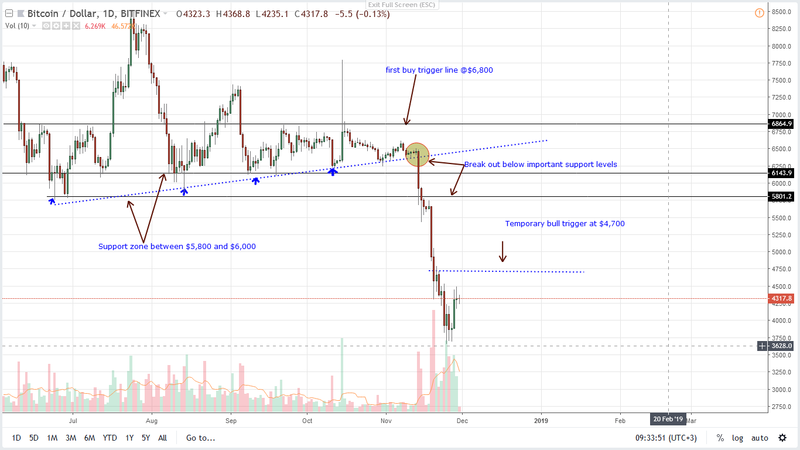 But, from candlestick arrangement, short-term traders seem to have an upper hand and with every low, aggressive or risk off traders should be loading up with stops at $3,900 and first targets at $4,700 and later $5,000 as laid out in our previous BTC/USD price analysis.